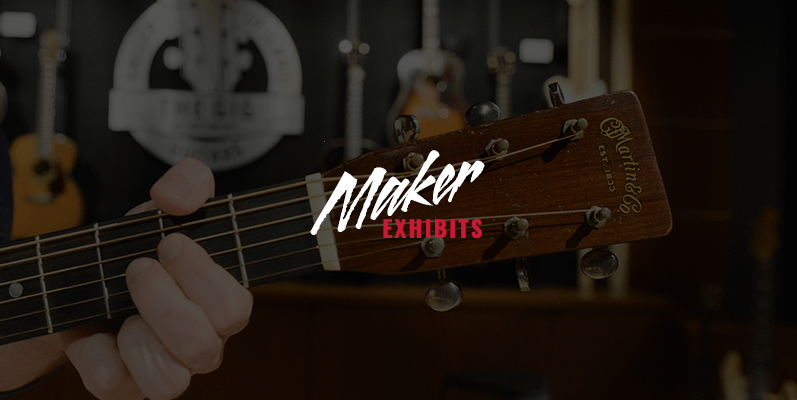 Three exhibits in the gallery are dedicated to legendary makers of guitars and mandolins. The Gibson display includes an exceedingly rare 1938 Gibson SJ-200, dubbed “The King of the Flattops.” A 1938 Martin D-45 headlines the Martin exhibit, one of only 91 ever made between 1938 and 1942. And the Fender display includes a 1956 Telecaster and a 1960 Esquire Custom. Numerous models from these brands are on exhibit throughout the gallery, but select instruments are highlighted in these dedicated exhibits.